Please download the free QRS to give a 1st impression of the game and a valuable game aid! 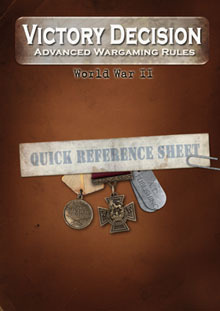 You can get a free French Version via the Wargame Vault! 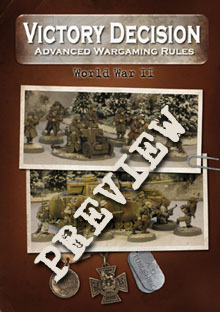 The Preview file is just what the name says - 20 pages right from the book! The quality is a bit lower as in the actual book to ensure faster download. 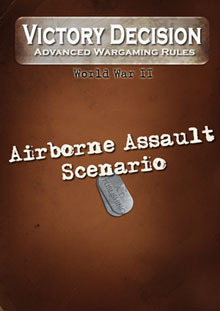 An additional scenario to compliment our Fallschirmjaeger, British and US Paratrooper books. 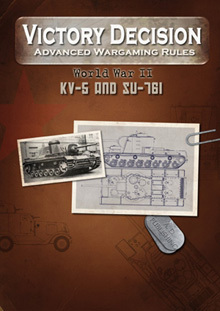 Two more vehicles for the Soviet forces - part of our May 2012 “One year of Victory Decision” celebration.